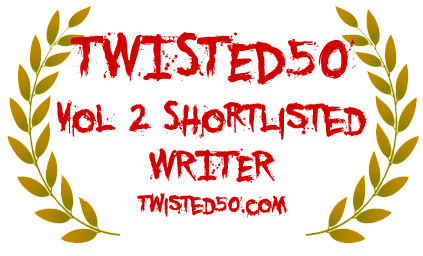 If you are on the list below please feel free to use the Twisted50 laurels shortlist that you can download HERE. Congratulations all! And Well done! Well done everyone... Time to celebrate! Congrats to every one involved. There are lots of great stories on that shortlist and I'm thrilled my entries have made it through. Great work Chris J and team on whittling down the number of entries - a huge effort but it'll be worth it in the end, I'm sure. Congratulations and good luck to everyone who's still in the competition. Thanks @Christopher, everyone has enjoyed the dark and delicious process immensely. I am delighted to be one of the shortlisted writers! WHOOP WHOOP! Soooo excited to be included on shortlist. And huge congrats to all who made it onto the list. Well done @Sheila and @Rita - love the ditty! I'm so pleased that my story is on the shortlist! Congratulations to all the writers who made it through. Such an honor to be on the shortlist!!!! I'm so excited. WOW! Made it onto Twisted's Evil Little Sister last year, the whole community experience was amazing, and I think helped me grow as a writer. Must have worked, I've only gone and got shortlisted for Vol.2!!! Awesome job everyone who was shortlisted. Even if you weren't keep writing! It's gonna happen! Thank you for your consideration of my efforts. Happy to share the stage for a few moments in the spotlight with some fine people and wonderful writers. So exciting to be included in the shortlist! -Looks like I have more reading to do what with all the enticing titles beckoning to me like a long, gnarled finger. Good luck to all! I am smiling like an idiot. Thanks for considering my tales. I am amongst such talented company here! My first bash at horror! Thanks Chris for including me. Lots of cracking stories and writers, Well Done to all of them. So pleased to be on the list particularly considering the quality of the other writers; best wishes to you all for the next stage. Also thanks to Chris and the judges for your continued amazing energy and commitment. Thanks Chris and Create50 for inviting me to explore outside of my screenwriting comfort and tickle the darkness of my depths. Delighted to be picked and for the adventure to continue. Well done all! This is a new experience for me as a writer. Really happy to be involved and get some stories onto the short list and be in such great writing company! Congratulations to everyone and good luck! Still stunned to be on the list. Congrats to everyone! Create 50 is more than a collection of stories , it is a also a collection of talented generous and amazing people. We are all a part of something incredible. Congrats to everyone involved! Congratulations, everyone! So excited and honored to be included on the short list and to be a member of the Create50 collaborative. Thank you! Congratulations to everybody. Do we know when the final list of stories to be included will be announced? We are hoping for a book launch at the end of the year - the final list will be announced as the book is launched in order to maximise the energy around the announcements. Woohoo! Congrats everybody! And lots of thanks to the Twisted50 team to read all of our stories. Fingers crossed for the next few weeks! Unforutunately I didn't make it again, but congrats to all the shortlisted writers! Phew, glad I found the emails - they were languishing in a back end of my GMAIL account, would have been kicking myself if I had missed that! Chris, if the judges do offer comments on any stories, are these provided through the TWISTED50 pages as per the normal system? Thanks, Mark. 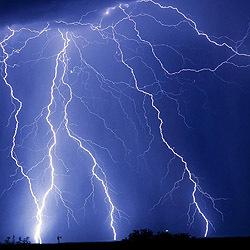 @Richard I have removed the link as that is a private link for contracts and not public. Congrats to everyone! I appear to be in the same boat re: missing emails. Shortlisted but no follow-up emails so far. Have had all the updates so email is definitely working. Any suggestions? Thanks. I'm yet to receive anything either. I sent you an email yesterday about it, hope you got it. All the best!